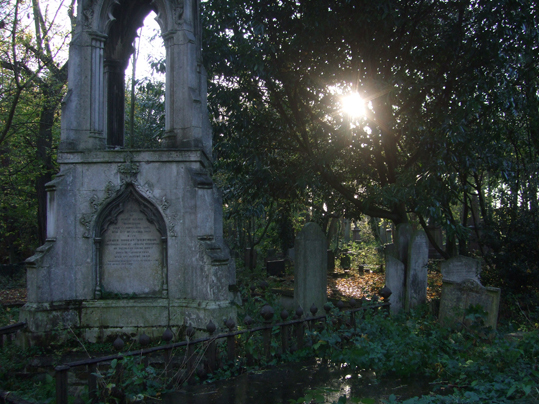 Before Samhain - or Halloween - for the past few years I've been posting photos of London's burial grounds in a series I've called London Necropolis - a Necropolis being a city of the dead. 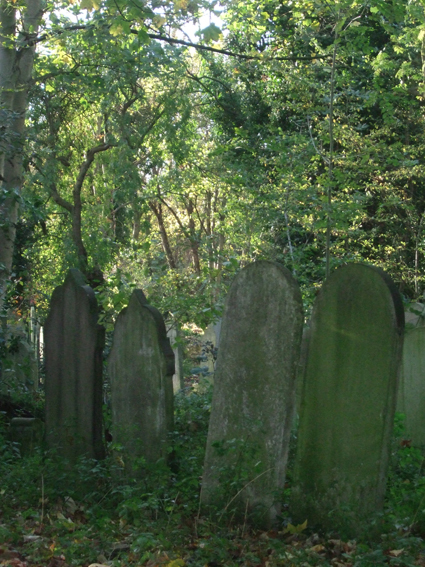 I've also been visiting London's Magnificent Seven Victorian cemeteries. Up to last Samhain I had visited six of them: Nunhead, Highgate, Brompton, West Norwood, Abney Park and Kensal Green Cemetery. 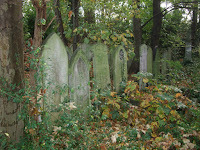 I visited the seventh - Tower Hamlets Cemetery Park - after Samhain, just too late to include it in my London Necropolis series last year, although I did post a Yuletide picture of holly trees growing among the memorial stones. Here are some more of the photos I took of this truly magnificent Victorian burial ground. 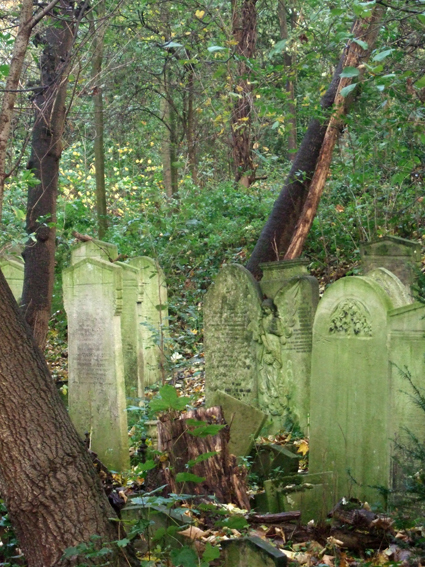 It is called a cemetery park and nowadays is public woods. Situated in East London, it is free to wander around and is a nature reserve as well as being designated a Site of Metropolitan Importance for Nature Conservation. 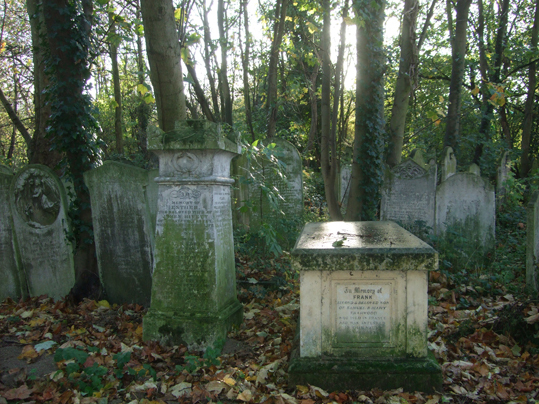 The Friends of Tower Hamlets Cemetery Park, a registered charity, looks after the woodlands and historic graves on behalf of the London Borough of Tower Hamlets. Sometimes called Bow Cemetery by locals, it opened in 1841 as one of London’s Magnificent Seven Cemeteries that were built in the Victorian era to deal with overcrowding in urban churchyards, which was causing disease and ground water contamination. The other six are those I mentioned - and blogged about - earlier. Tower Hamlets Cemetery closed to burials and become a public park in 1966. In May 2000 it was declared a Local Nature Reserve. Although it is the least well known of the seven, it is still a beautiful, atmospheric and peaceful place to visit. 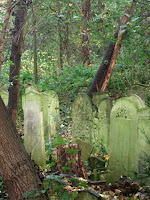 It is full of wildlife as well as being somewhere to remember our ancestors of place in the East End of London. On the theme of honouring our local landscape and the ancestors of place, a thought-provoking book that I reviewed in October last year is This Ancient Heart: Landscape, Ancestor, Self. Edited by Caitlín Matthews. It is a series of essays by pagans including Emma Restall Orr, Philip Shallcrass and Professor Ronald Hutton about how the land we live in and those who have lived before us can inspire and affect our spirituality.